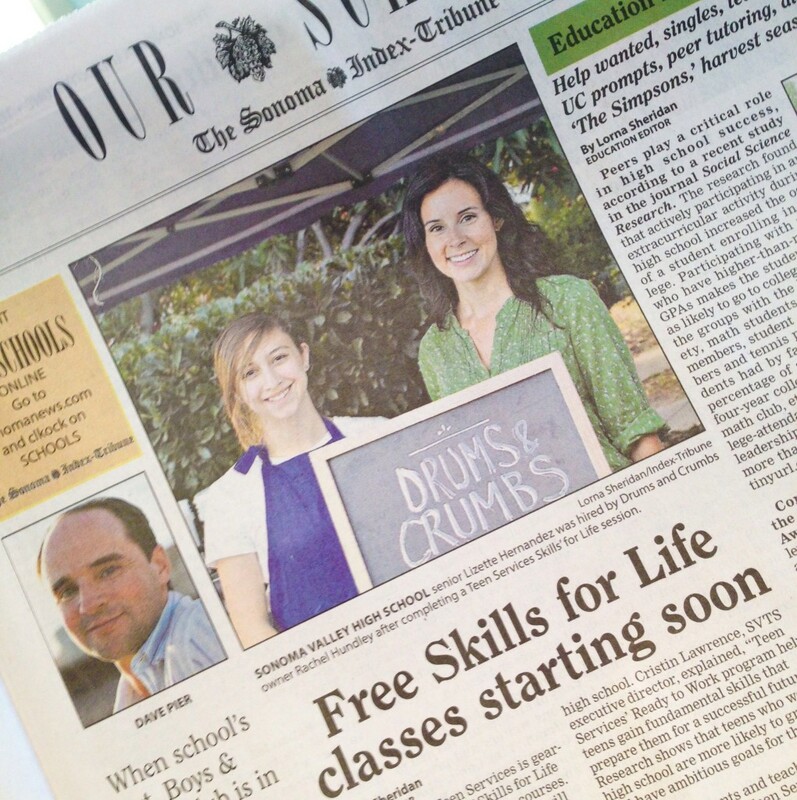 DRUMS & CRUMBS « Rachel & Lizette In The Sonoma Index Tribune! Sonoma Valley Teen Services offers a fantastic program to help teenagers prepare for the “real world” called Skills for Life – Ready to Work. Teens that complete this six-week program are eligible for placement in an internship or paid employment. Everyone at Drums & Crumbs was thrilled when Lizette, a graduate of the program and a student at Sonoma Valley High School, joined us at the beginning of the summer to help with the Tuesday night farmers market. Over the past four months, she has been a wonderful addition to our team and has helped at the market each week, as well as at special events. You can read more about the program, as well as see a photo of Rachel and Lizette at the farmers market, in a featured article in the Sonoma Index Tribune.